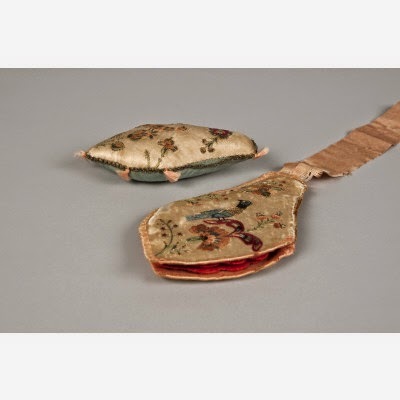 While others wielded weapons and words, Martha Washington preferred using a diminutive tool kit when serving in close proximity to the Revolutionary battlefields near her husband, General George Washington. 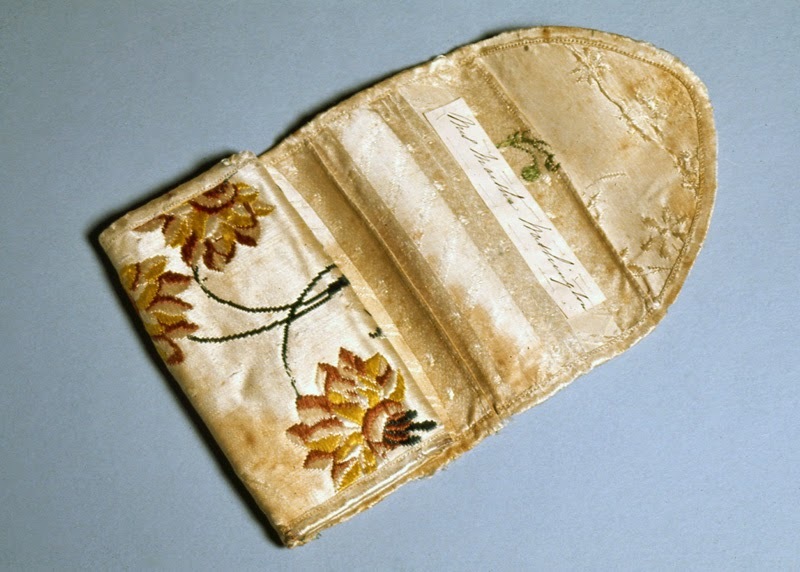 A needle case or needle book was always at her side – literally. 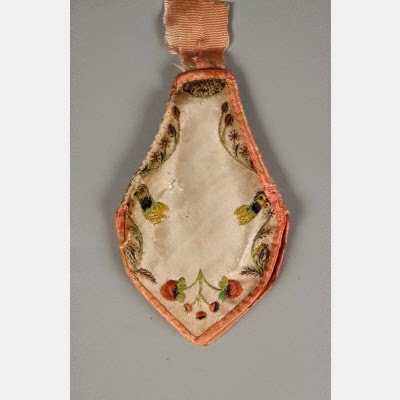 At Valley Forge, her needle case was attached to her waistband by a grosgrain ribbon. From this approximately 3-inch bit of textile we glean much of her identity and efforts to help her husband and those under his command. It is not widely known that Martha spent substantial time every year with her husband at various encampments, from 1775 until December 1783. Indeed, she remained with her husband close to half the time he was away from Mount Vernon. 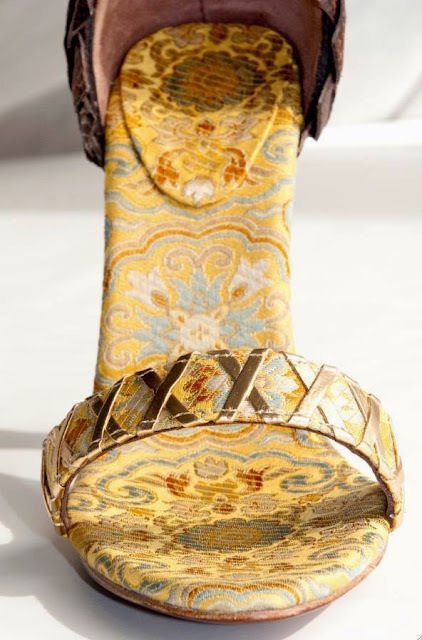 Several of Martha’s wartime artifacts, seemingly commonplace, have survived, and these objects powerfully link Martha to the battlefields where the General commanded his troops. During the dreary and bitterly cold winter of 1777-1778, Martha was in camp at George's side at Valley Forge. Her concern for the troops is documented in letters from many who were present. Throughout that bleak winter of desolation and starvation, she comforted not only her husband, but sought to bring some warmth and civility to the entire camp. Along with other officer's wives, she organized and coordinated small gatherings, for repairing clothes and knitting socks. 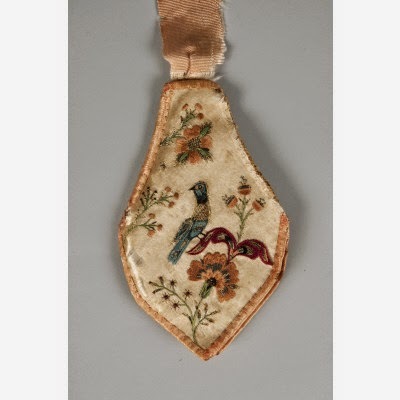 The National Museum of American History at the Smithsonian Institution, also holds a needle case that is thought to have belonged to Martha. When this charming silk brocade case is unfolded, we can just make out the imprints of the needles and pins it once housed. 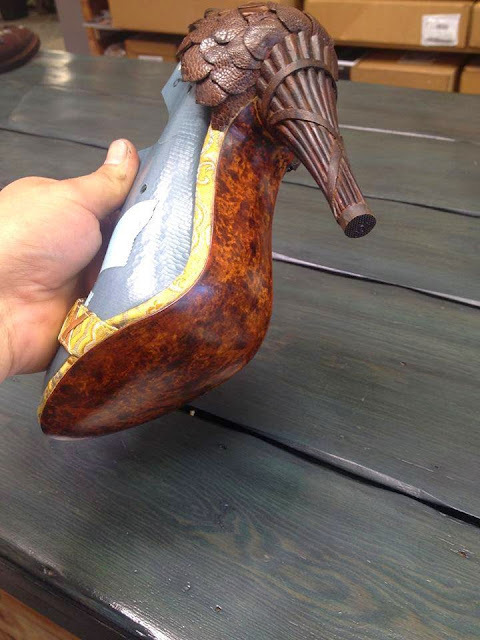 Some curators have suggested that this charming artifact may even have been fashioned from remnants of an earlier garment. Haute couture came up in a conversation last week and it started a search. The phrase is often taken to mean high-end clothing, but it has a fuller connotation. 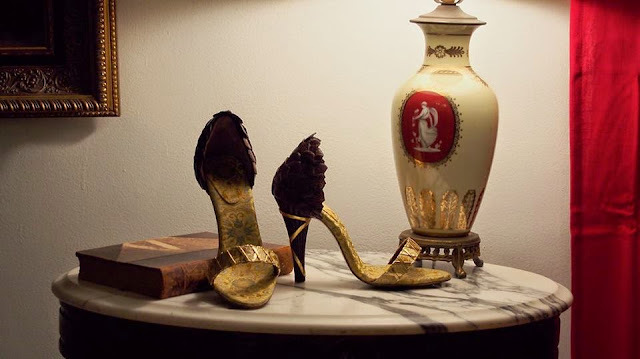 High-end or haute couture historical and modern clothing often elicits oohs and aahs for the very thing that, homespun clothing, ready-to-wear or prêt à porter lacks—details. 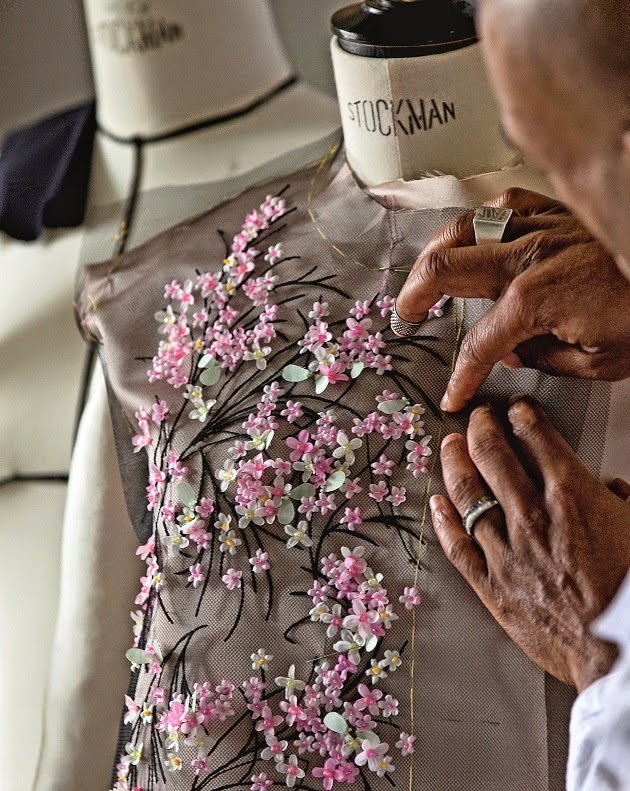 Some details can be derived from the construction, the stiches that bind the garment, the drape that defines or hides the body and even the cut and placement of the material, assuming that it is material. 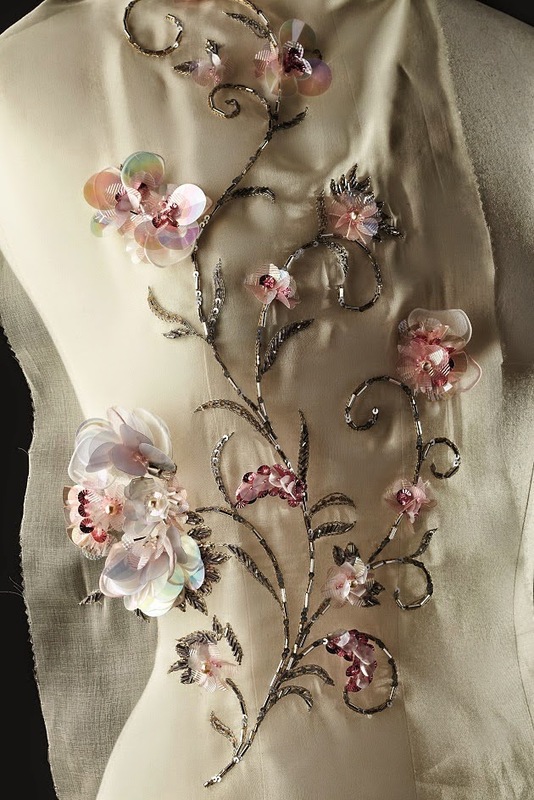 However, it is often the embellishment that captures the eye and the imagination, a cascade of feathers, a jewel-encrusted torso, or a field of embroidered flowers. 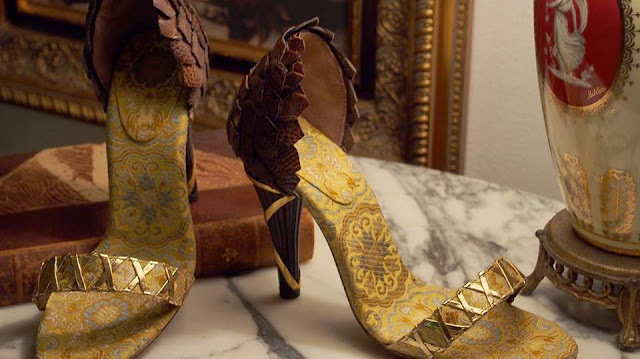 The embellishment of clothing, long the privilege of the aristocracy, became in the nineteenth-century with the advent of the House of Worth a codified accessory of the titled and the wealthy. Starting in the mid-nineteenth-century specialist craft houses were established in Paris to create these flights of fancy. For generations artisans concocted the dreams of the designers, but as the last century ended, the craft families began to wane. 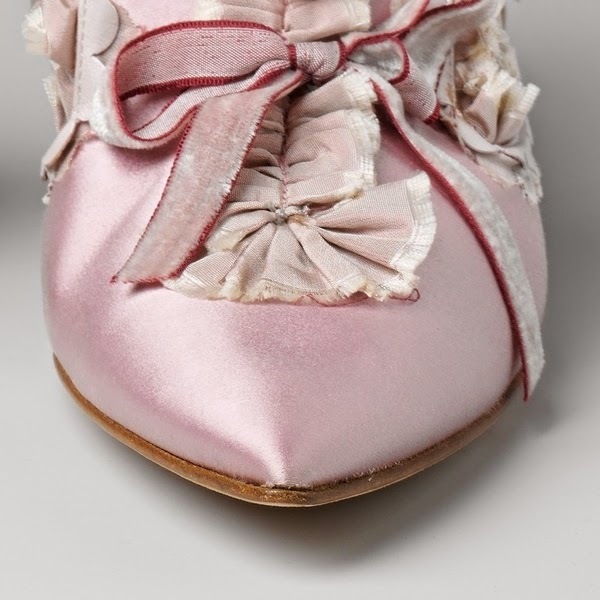 Karl Lagerfeld, of Chanel, was that appellation needed, I wonder, began to purchase these family-run ateliers to ensure the craftsperson and the coutiers’ survival. Several of the established houses now form the Paraffection branch of the House of Chanel. 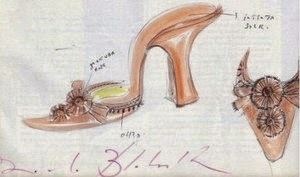 Their trade is not limited to Chanel, which would be short sighted, but is open to the other couture houses. 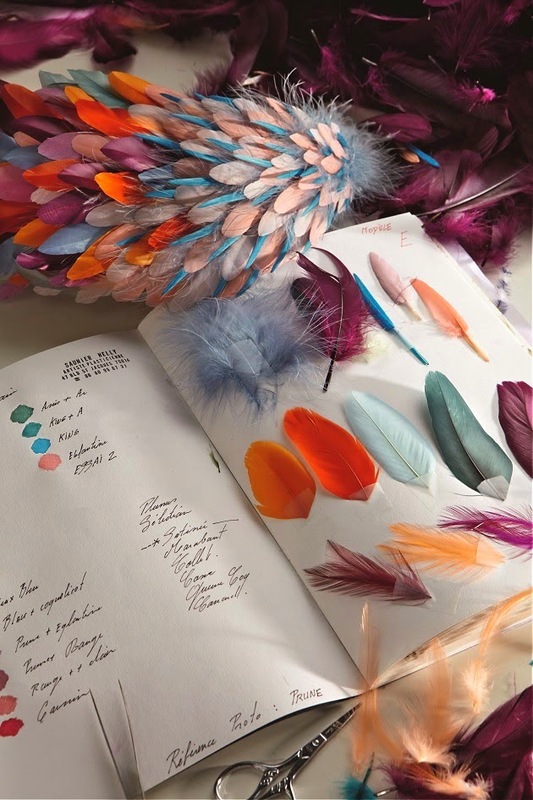 A short list of the houses includes, Lesage, embroidery,Lemarie, feathers and flowers, andMaison Michel milliner and hatter. Ahhh! 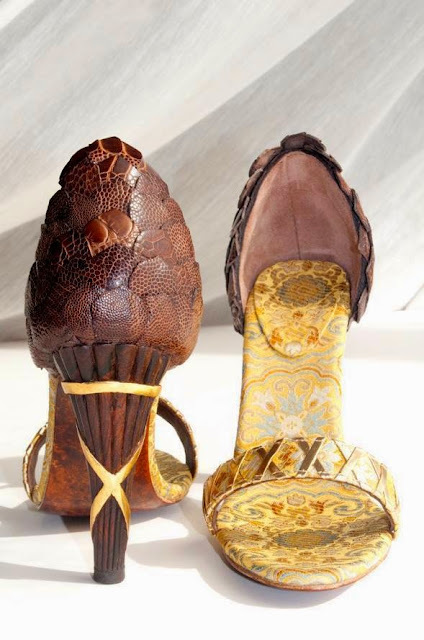 The wonderful, frivolous bonbons that are the shoes featured in Sofia Copolla’s 2006 film, Marie Antoinette. 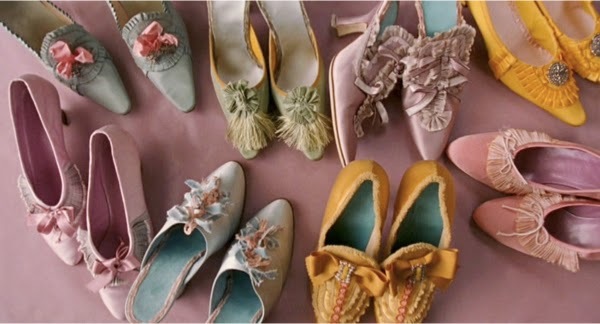 Designed by the acclaimed Manolo Blahnik, these beribboned, bejeweled pastel silk mules and shoes are almost a guilty pleasure; for some, even distracting attention from setting, plot, and the lovely Kristen Dunst. 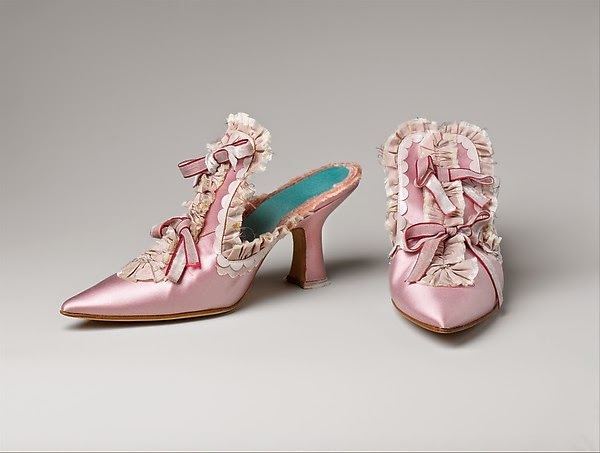 In their frosting-like decadence, these shoes are the perfect embodiment of the lavish lifestyle associated with Marie Antoinette. What is Manolo Blahnik’s fascination with shoes? Pass the petit fours, s'il vous plait! 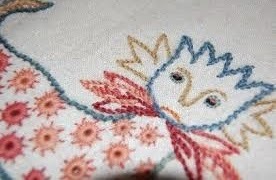 A reader commented on her mother’s needlework skills and her lesson sample book from the 1930s and 40s full of “button holes and buttons, collars, French seams fun and fell. 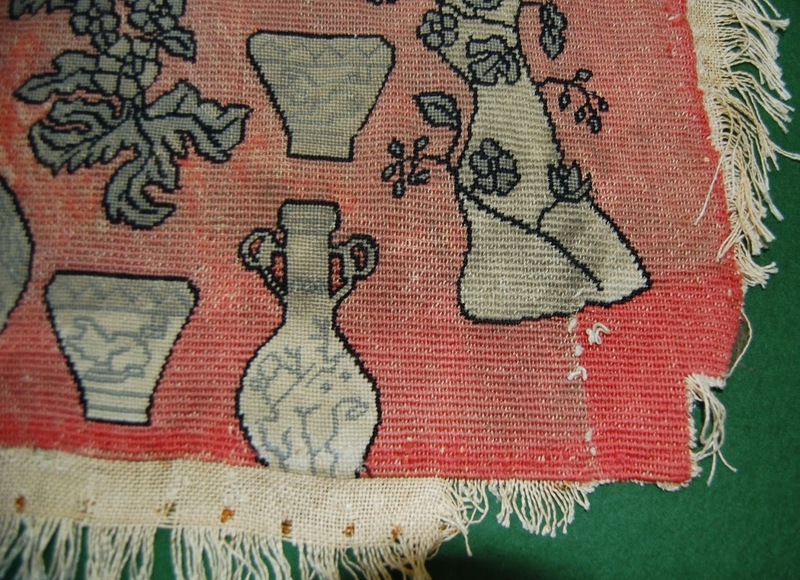 using hemming tape, herringbone stitch pin tucks and smocking.” If memory serves, this reader has some connection to Scotland, which triggered a remembrance of the Wemyss School of Needlework in Coaltown-of-Wemyss Fife, Scotland. 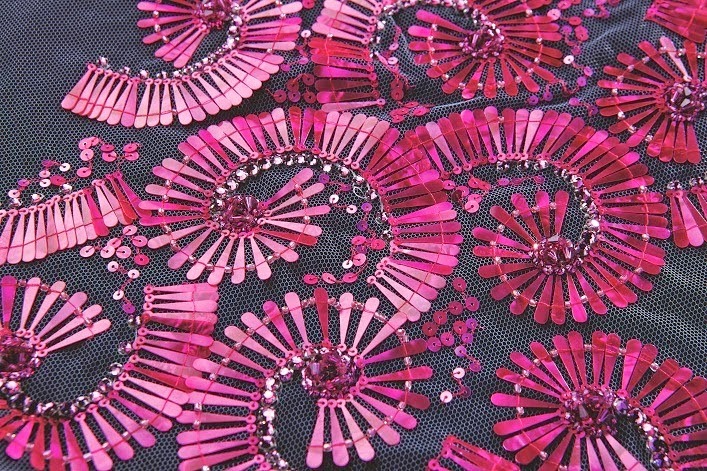 Founded in 1877 a scant five years after its more famous cousin the Royal School of Needlework in London was founded. (The Royal School is currently at Hampton Court.) This section of Fife has produced coal for centuries and so the need tor full family employment cannot be overstated. 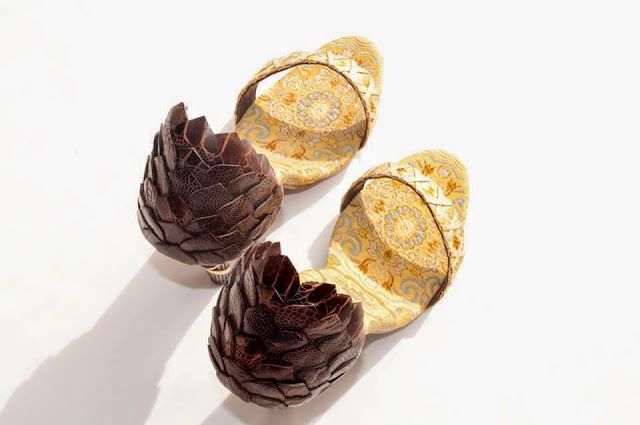 Wemyss was founded to help the daughters of colliers and farmers find employment through needlework skills. The Wemyss family and the school’s seamstresses maintained the school until 2011. Currently (2015) the school is overseen by Fiona Wemyss and Louise Dawson. In a new century, it is now in the process of preparing a catologue of its collection and moving forward with improved facilities. 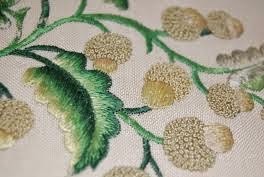 It is worth reflecting that no craft thrives without education and the Wemyss School maintains that tradition with a newly instituted selection of classes, including Jacobean Crewelwork, Goldwork, Whitework, and silk shading. While the school existed and helped needle workers throughout its history, these are the first classes since the late 1940s. The school is located in Fife, Scotland (see above) and is currently open Wednesday, Thursday and Saturday from 10 a.m. to 5 p.m. 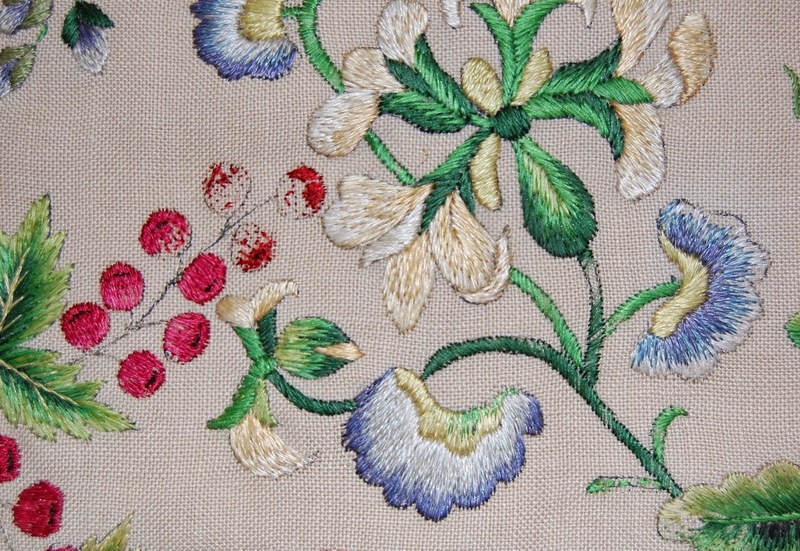 If you enjoy needlework go and see it, keep these treasures alive! I do not foresee making it there any time soon, but I look forward to seeing the catalogue when it is finished. Helen McCook of the Royal School of Needle teaches at the school on a freelance basis. This post was ammended on 2 February 2015 to correctly name the overseers, Fiona Wemyss and Louise Dawson and the role of Helen McCook as a freelance instructor. Jeff Hopper is a consultant, historic house steward and social historian.